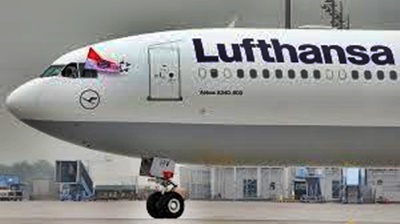 Lufthansa announced on Wednesday that it will hire more than 3,000 new staff, mainly flight attendants, this year. The new recruits will join the German company’s various carriers in 2017. The bulk of the cabin crew, around 1,400, will be assigned at the hubs in Frankfurt and Munich alone. With 37,000 employees, Lufthansa, which operates a number of flights from the UAE and the rest of the Middle East, is the largest employer in Frankfurt and Hesse. It is not clear whether some of the positions will be available to candidates in the region. However, US planemaker Boeing had earlier said that airlines in the UAE and the rest of the Middle East region are expected to hire 200,000 more employees to support the growing demand for new aircraft over the next two decades. UAE-based Etihad Airways, which earlier announced some job cuts, are looking for new staff as well. The airline has scheduled at least eight cabin crew assessment days so far this year. Two of these were scheduled to take place in Abu Dhabi today, January 4 and on January 16. Other locations include Tunisia, Johannesburg, Athens, Paris, Madrid and Cairo. Last year, in addition to the conventional application processes, Lufthansa also held six flight attendant castings in Heidelberg, Mainz, Augsburg, Regensburg, Munich and Berlin, which was met with great interest among the target group. “More than 2,000 applicants went to the castings, and almost 6,000 attended the regular application days in Frankfurt,” the airline said in a statement obtained by Gulf News. The recruitment campaign resulted in the hiring of one in every three applicants. Other divisions of the airline are also hiring. Lufthansa Technik, for example, intends to hire 450 new staff at different locations, while Austrian Airlines is hiring more than 300 additional cabin, check-in and cockpit staff, while other divisions are also looking. Last year, more than 100,000 applications were submitted to the career portal at www.be-lufthansa.com. “This makes us very proud. We are pleased to hire 2 / 2 more than 3000 staff again this year,” said Carsten Spohr, chairman of the board of Deutsche Lufthansa AG.